kt literary » Blog Archive » Happy Book Birthday to MAJESTIC 12: INCEPTION! Happy Book Birthday to MAJESTIC 12: INCEPTION! 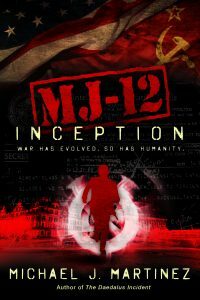 Congratulations to Michael J. Martinez whose MAJESTIC 12: INCEPTION hits stores today in mass market paperback! Book #2 in the series, MAJESTIC 12: SHADOWS releases in September 2017. Start reading now and join the adventure! ← THE COURIER nominated for Aurora Award for Best Novel!